Horse riding Costa del Sol. We have riding-classes for beginners as well as advanced riders. Our horses range from easy-rides with basic skills up to high level performers with lots of power. We usually start with ground work- communication, relaxation, breathing and harmony together with your horse. That will make you aware of all movements, shoulder in, haunches in etc. and therefore be easier to perform later. Once ready to mount a horse we go on focusing on awareness of the bodies of the horse and rider. Undertaking the movements slowly enables it easy to feel the exact position of both hindlegs. The ultimate goal, when initiating trot and canter, is to maintain balance and harmony so neither rider nornor horse experience tenseness or stress. 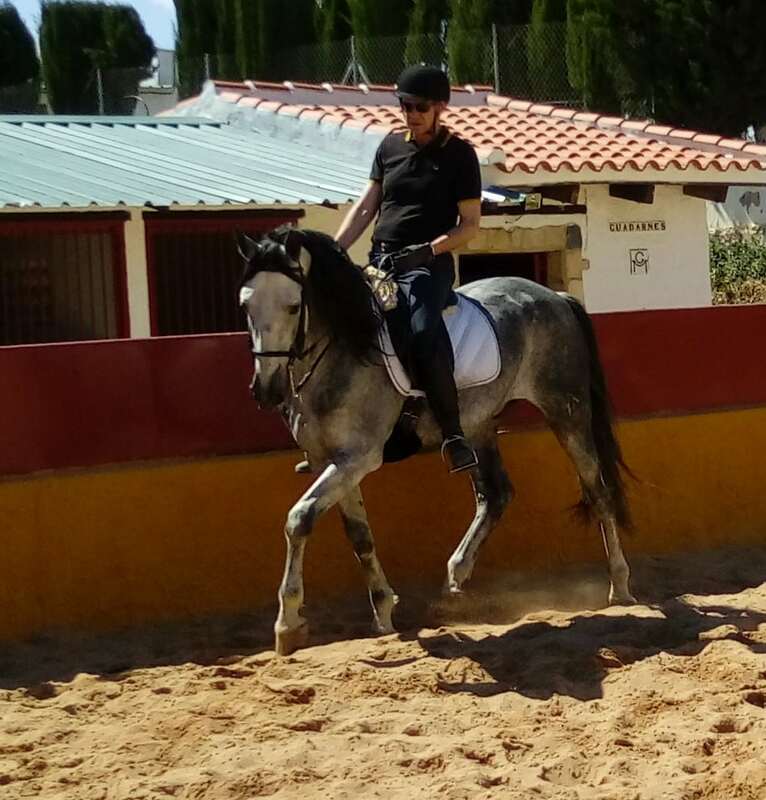 Welcome to enjoy my Classical dressage in Spain. I promise to give many unforgettable experiences and a new way to communicate with horses. 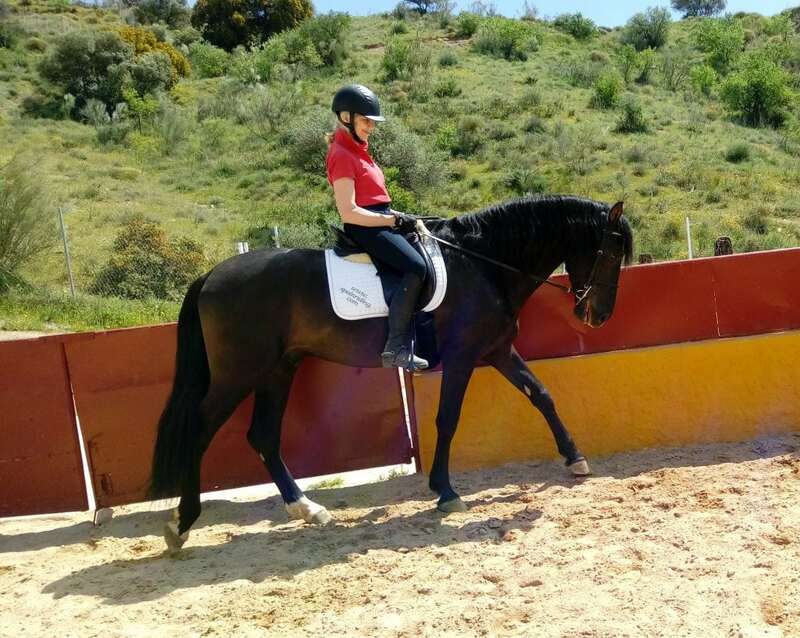 Classical Dressage is about trying to be as perfect as possible, to have a real connection with the horse and control and awareness of your own body as well as of the horse. Horses recognize if your ribs are collapsed, how you breathe. They read energy and body language. Buddhism says 50% of your state of mind is posture. Try my core/yoga practice.